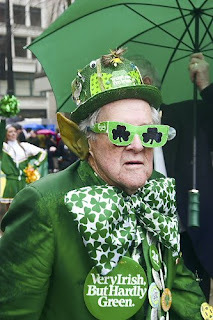 Happy Belated St. Patricks Day!!! Caribou Nation you bet your bottom dollar it’s March 18th, so tighten that belt buckle and strap those shoes a little tighter, we are heading into the spring season with full steam. The snow has melted, the skies are clearing, and the atmosphere is becoming electric!!! We at the Caribou Headquarters are certainly jumpin’ and jivin’ with the thought of the ‘BOU right around the corner. If you want to Jump and Jive as well, GET AFTER IT, its fun, maybe even get your parents to join you. Or if your really jacked up, grab your neighbors, turn up the music, put on your dancing shoes on, and start a block party!!! In our NCAA Bracket Challenge, Sam Krentzman is currently in the lead after the first day of play, KRENTZMAN OOHHHHHH. Although, you never know what’s going to happen, it’s Madness, it’s OUtraGeous, its Caribou!!!! In some Social Media News: If you have a twitter account you should definitely start following Camp Caribou. And I know we have a facebook friend page, but things are going to start transferring over to our fan page, so if you haven’t liked us on facebook yet, Bill thinks you should get on that train.!!! !